Ooooh I remember really enjoying KArmstrong's series back in the day. I'll probably need to see if I'm up to date on this series or not. I do love little continuations of a series though so yay! It really is, and it's been far too long for me to read her work! Ooh nice! Looking forward to this one too! Still need to read the last 2 anthologies as well! Fell so behind! I'm hoping this one will work without being TOTALLY up to date on the series. It kind of got lost along the reading way. I am caught up and this makes me happy because I haven't enjoyed her newest series so it will be nice to be able to go back to this for a bit. 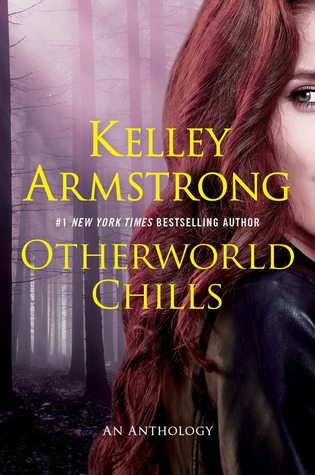 I love Kelley Armstrong but it's been years since a read a book that was set in this world. Sad! Actually, I'm not waiting on anything at the moment. But that'll change soon. :) Hope you find something awesome!! Oh my, yes you do! I'm guessing she has time to get back to this world now that the TV show has ended?